A valued member of the Paul Mitchell ART Team, Becky is also responsible for educating our Future Professionals in NVQ2. Outstanding commitment to her profession through continual professional development reflects in the enthusiasm Becky has with her guests. Education is paramount to Becky and she has always accepted any training opportunity that comes her way, recently gaining her degree in teaching whilst juggling motherhood. 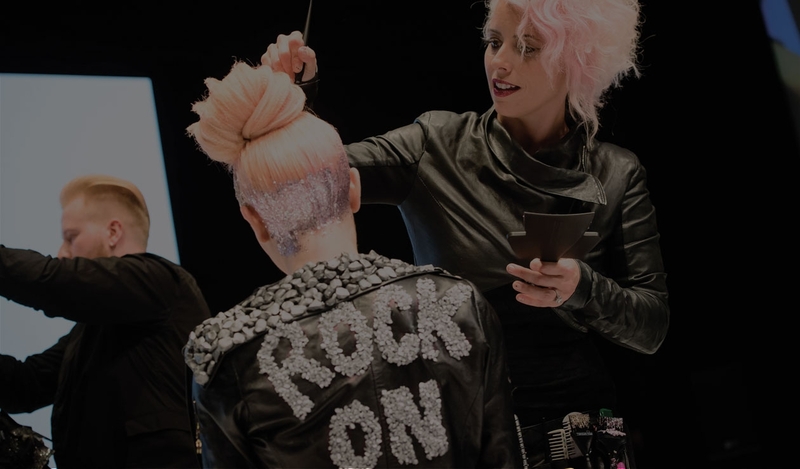 ‘Being a part of the Paul Mitchell Artistic Team keeps me motivated so I can inspire others. I’ve always thrived on knowledge and love to absorb anything new. I can pass this on to our team through our on-going training programme and in our Gershwins Academy. It’s important to me to share what I’ve learnt and being part of our education team enables me to do this and ensures the Gershwins standards are maintained’. Having been part of the Paul Mitchell ART Team for 6 years has fuelled Holly’s confidence and talent, which she has demonstrated on stage professionally, including showcasing in Poland and back here at Gershwins. Holly has featured in our video and editorial work across the country showcasing the best of her work. Holly loves to share her knowledge with her guests and educates the Team with Creative Collection sessions. ‘Being able to bring my knowledge back to Gershwins and use it in creative training sessions to develop my colleagues, makes all the hard work worthwhile. It’s really important in hairdressing not to limit yourself and accept any opportunities that are available to you. The rewards that you reap keep you inspired, motivated and drives you forward’. so she is often found giving education to a colleague. Looking after our brides also gives Nicky great satisfaction, and as well as working with Wed magazine, she produces fabulous bridal hair creations. ‘Joining Gershwins has helped broaden my horizons and I love being part of the Paul Mitchell Artistic Team. Having the chance to progress is so important to me, not only to offer my guests the best advice but to inspire my colleagues through my creativity. Kylie is a key member of our Salon Coordinator team. Compassion and commitment best describe the way that Kylie works with her guests, putting everyone at ease, making them feel relaxed and leave feeling fantastic. Our Future Professionals also benefit from the caring and meticulous approach Kylie has to training NVQ2. Previously a Paul Mitchell ART Team member, Kylie is now part of our specialist wedding hair and makeup team and loves nothing more than being out on location at a photo shoot or travelling to a venue to prepare her brides on their wedding day. I feel very privileged to be part of the management team and helping nurture our growing team.